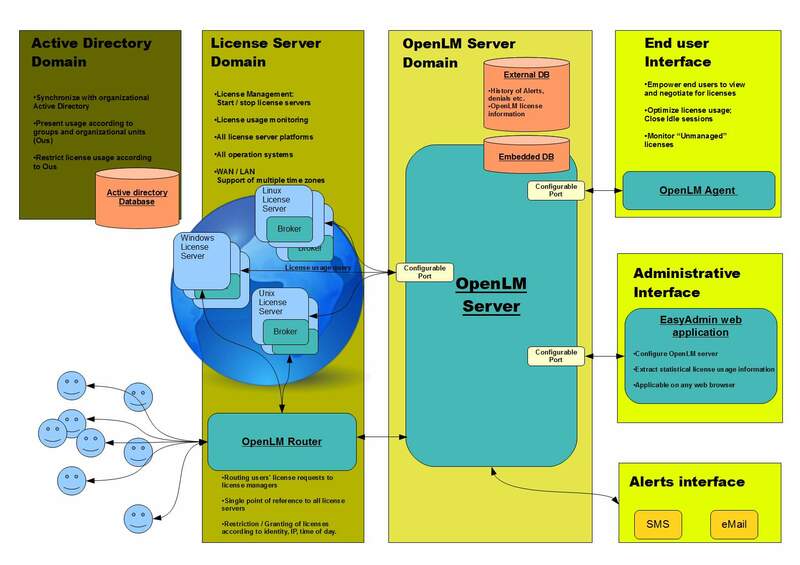 The OpenLM Server is the core element of the OpenLM system. 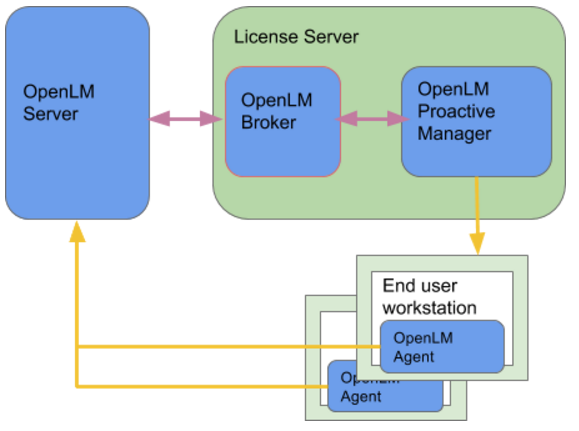 It integrates the functionality of all other peripheral system components, such as OpenLM EasyAdmin, OpenLM Agent, OpenLM Alerts, and OpenLM Broker. 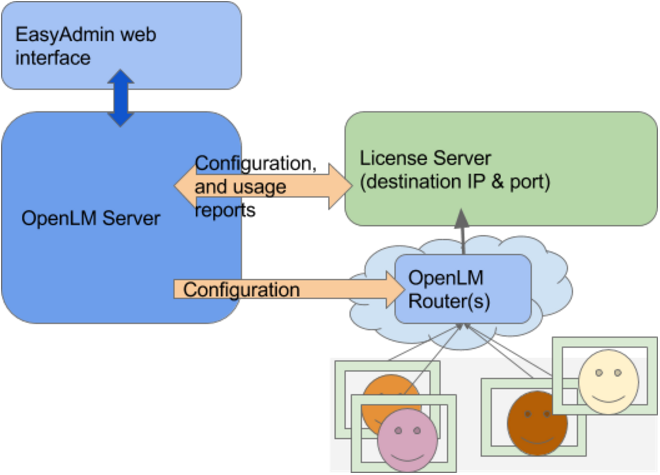 It is responsible for collecting information from various system components and storing it in an embedded relational DB. External databases like Microsoft SQL Server and MySQL starting with 2012 are also supported. This extension facilitates saving license usage information on an external Database such as MySQL or MS SQL Server starting with 2012. 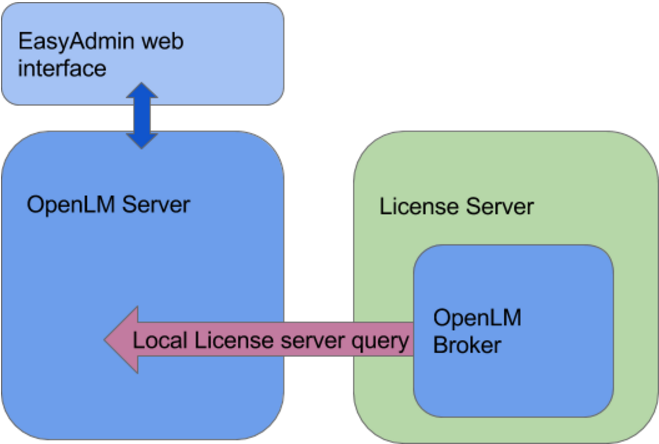 By default, OpenLM uses an embedded Firebird DB. 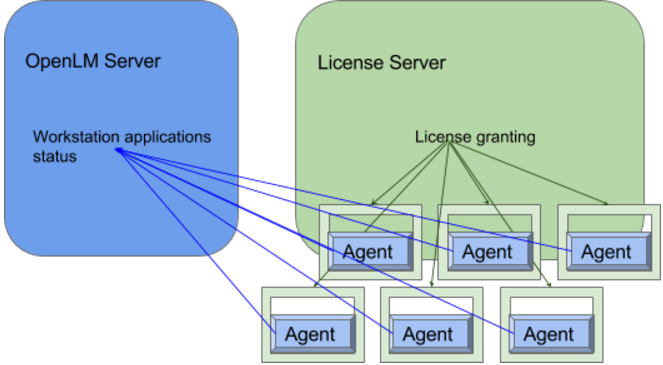 External DB support is recommended for management of large licensing systems.